Heritage Day is one of the public holidays celebrated in South Africa. It is observed on September 24. The holiday focuses on celebrating the culture, beliefs, and traditions of the South African peoples that comprise a cohesive nation. In the province of KwaZulu-Natal, September 24 was celebrated as Shaka Day. It honored Shaka, the legendary Zulu king who united Zulu clans into one nation. Each year people would gather at his grave to commemorate his achievements. When Shaka Day was not included into the list of the country's public holidays, the Inkatha Freedom Party objected to the Public Holidays Bill. The party and the Parliament of South Africa eventually reached a compromise, and September 24 was designated as Heritage Day. 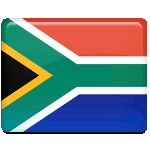 On this day, South Africans celebrate the diversity of their rich cultural heritage that makes up a rainbow nation. The term “rainbow nation” was coined by Desmond Tutu to describe the multiculturalism of post-apartheid South Africa. This metaphor was later elaborated upon by Nelson Mandela. Heritage Day is celebrated with various cultural events held across the country. They may include (but are not limited to) public addresses, army processions, recreation of historical events, traditional barbecues (braais) etc.